The sun has risen on the year 2019 for the first time, so let’s take a look at some of the big questions that will be answered in the new AFL season. Will 2019 be the AFL’s most competitive year yet? When I’ve written this column in previous years I’ve usually asked how one specific trade might shape the relevant club’s fortunes – Jaeger O’Meara to Hawthorn, or Gary Ablett home to Geelong, for example. That simply can’t be done this time, because last year the busiest offseason in history saw almost half of the clubs in the league land big-name recruits they’ll believe can have a dramatic impact for them in 2019. Tom J Lynch, Chad Wingard, Jesse Hogan, Steven May, Lachie Neale, Dayne Beans, Dan Hannebery and Dylan Shiel are all players whose new fans will hope can take their club to the next level. And the vast majority of those clubs who didn’t land a ‘big’ name still made their offseason decisions in a way that would indicate they intend to improve their fortunes sooner rather than later. With the exception of the Gold Coast Suns, I reckon every club in the AFL is looking at themselves right now and believing they’re capable of a better performance this year than last. Will there be a coaching cull? For the first time in more than a decade, all 18 AFL clubs will enter season 2019 led by the same senior coach as they were 12 months prior. It’s not that long ago that it was common to see as many as three or four or five new coaches join the ranks in any given year, but the past three off seasons combined have seen only two unplanned changes. Is it the start of a new era of clubs showing their coaches patience with the belief that it takes some years in the job to truly learn the craft? The transformations – both on a club and personal level – that we’ve seen achieved by the likes of Damien Hardwick in 2017 and Nathan Buckley last year would lend some weight to this philosophy. On the other side of the coin however, it’s clear that – as discussed above – many clubs appear to be targeting season 2019 as the year to take a step forward, ideally a big one. It won’t happen for everyone, though, because it can’t. Will disappointed clubs choose the path of patience… or the path of the axe? Simon Goodwin and Nathan Buckley are, remarkably, the only coaches not already contracted beyond season 2019. One would expect both to sign extensions before the season begins. 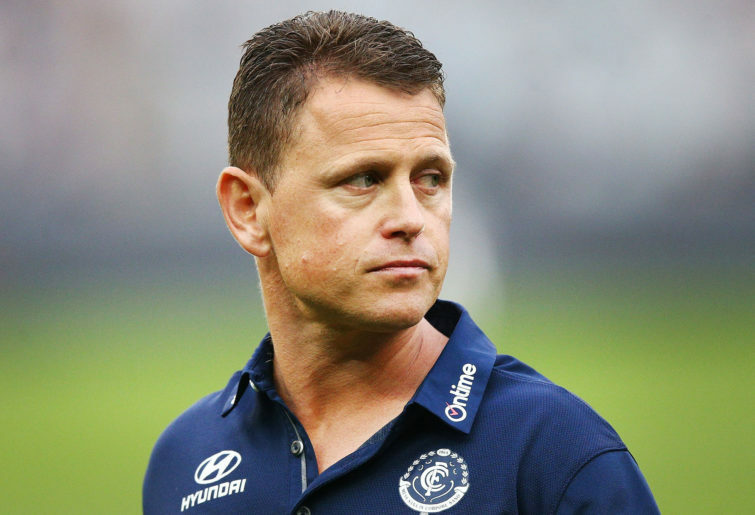 However a number of coaches are extended only a year further than that, a range in which sackings have still often occurred: Alan Richardson, Brendon Bolton, Ross Lyon, Brad Scott, Luke Beveridge, John Longmire and Leon Cameron. How will new rules change the game? The AFL have long been known for their love of annually fiddling with the rules, but they took it a few steps further than normal in the 2018 offseason introducing no less than nine changes. Of most note will be the introduction of ‘traditional’ starting positions required at centre bounces which will require six players from each side to be inside each of the 50m arcs, one of whom must be in the goal square. The league also toyed with the idea of extending the length of the goalsquare, but instead settled on a change that will move the man on the mark back five metres for kick-ins, and no longer require the player performing the kick-in to kick to themselves in they wish to play on. It was a controversial topic of discussion throughout 2018, and most pundits – myself included – feel the changes represent the AFL kowtowing to the demands of TV broadcasters rather than listening to the will of the fans. Personally I think these rule changes stand no chance of attracting more fans to the game, but might see games eke out a few more goals (predominantly in already uneven encounters), offering TV broadcasts the chance for a few more ad-breaks. That would be mission accomplished for the AFL, but it will do nothing to alter the public perception that they care more for money and metrics than passion and people. Whatever happens, you can expect it to be one of the major talking points of 2019, particularly early in the season as inevitable teething issues arise. Can GWS survive a make-or-break season? 2018 was the Gold Coast Suns’ eighth year in the AFL and as such they were forced to deal with free agency for the first time – and it did not go well. While Tom Lynch was the only player to leave directly via the free agency mechanism, the likes of Steven May and Aaron Hall both left the club only a year before they would’ve qualified. Former top-ten draft picks Kade Kolodjashnij and Jack Scrimshaw left the club for virtually no return and Jarryd Lyons also departed for literally no return. Most would agree that the situation is not nearly so dire for fellow expansion club Greater Western Sydney, but 2019 still represents a major hurdle for the Giants as it’s the first time they’ll face free agency. Stephen Coniglio will be the biggest name on their free agency list and is already known to be a target of Hawthorn. Other foundational players Nick Haynes and Adam Tomlinson will enter 2019 as free agents also. 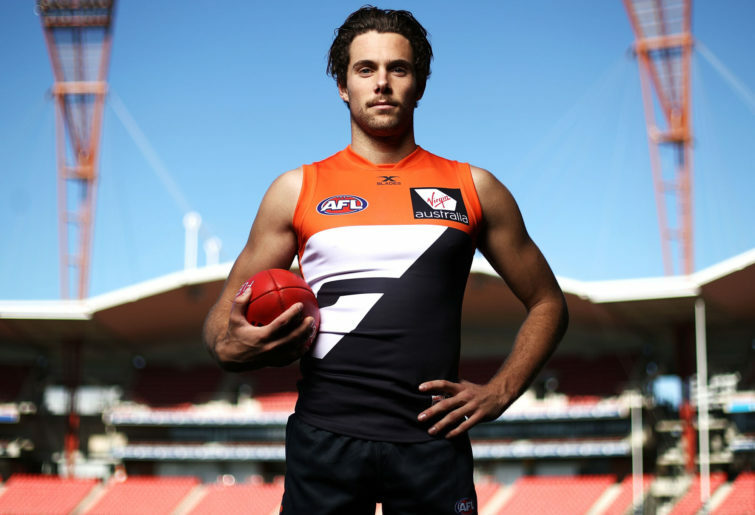 But the Giants also have Josh Kelly and Jacob Hopper coming out of contract at 2019, both of them certain to garner attention from a wide variety of opposition clubs. Last year’s offseason saw the Giants say goodbye to a number of valuable players in a bid to get their salary cap under control and make room to re-sign the key planks coming out of contract in 2019. Have they done enough to break the cycle of players leaving the club, or will the dreaded first year of free agency deal them a similarly devastating blow to that which it did Gold Coast? And of course… who’s going to win it? Always the biggest question of the year, and – for the reasons I’ve already discussed – it is perhaps harder to answer in 2019 than it ever has been in the past. I’d say that 15 out of 18 teams could be reasonably considered finals aspirants, and there are at least a dozen who would only need a little luck and momentum to be in the flag conversation. Today is New Year’s Day, so let me say this: if football has taught me anything in the last three years, it’s that transformation is always possible. Nathan Buckley was more emblematic of this fact in 2018 than anyone else. He didn’t quite take his Pies to a premiership, but his unmistakable change in character was both inspiring and humbling. I think the capacity for self-transformation has become arguably the most important factor in the premiership race, a development which has made footy all the harder to predict. You may have guessed where I’m heading with this: I’m not quite ready to tell you my 2019 premiership tip just yet. That’s an article for another day. But while we’re on the topic of self-transformation, I wish the very best of luck to all of those of you who – like me – will use the changing of the calendar as an opportunity to reflect on your lives and make changes big or small. If you’re contemplating how best to do so, you might find some wisdom in an interview I was lucky enough to have last year with Alex Rance on Richmond’s 2017 transformation.